SJ Cool Accordion for Content module is a collection of articles inside an accordion. With smooth transition of tabs and showing tooltip when hover on tabs, the module will bring enjoyable differences for your site. SJ Cool Accordion is created for Content component and you can easily use this module for showing products, events or any things which you like on your site. You can use theme 1 which has tooltip to show description of article. And theme 2, 3, 4 you can change exposition of description and image of article follow your idea. With so cool display, when the module shows slide, it'll make you imagine like an accordion which's played by a professional artist. We always want to bring you the most pleasurable. 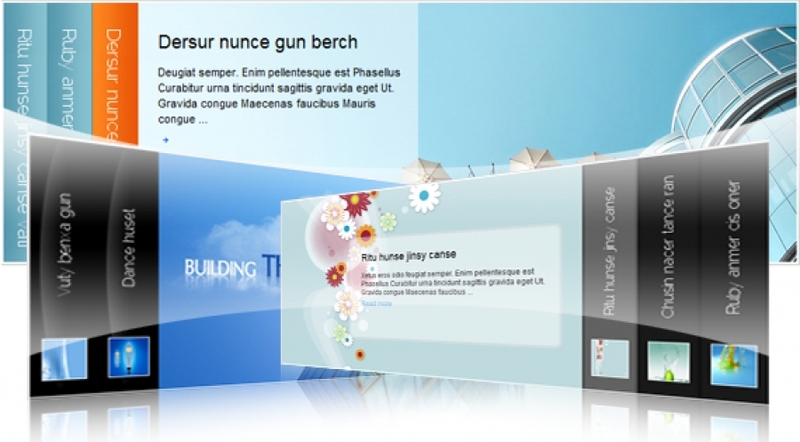 Therefore, SJ Cool Accordion for Content will be created to suit with many websites for example websites about products of service branch, art websites, travel websites, construction websites, news websites, etc. If you're one of them, let's get the module right now and make your idea become reality. 11. You can change width/height of small image on tabs or large image in content.